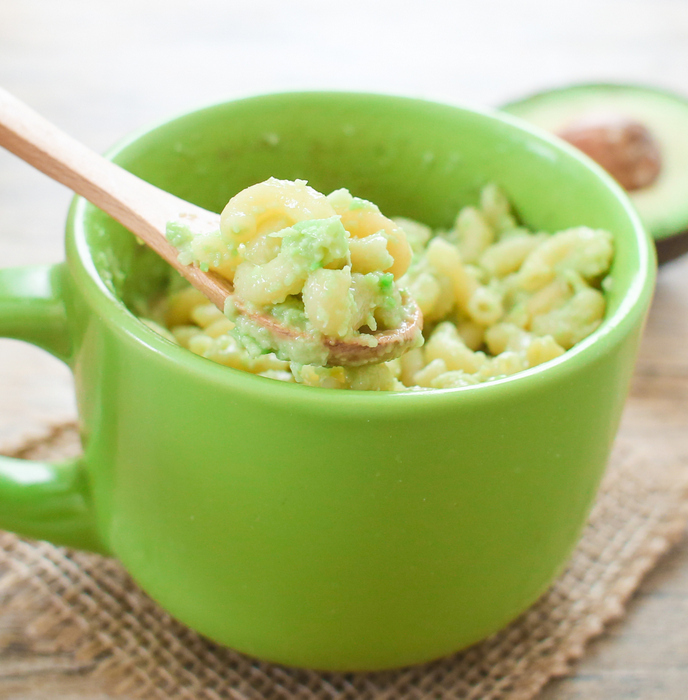 This creamy, single serving avocado macaroni and cheese is made with a microwave and in a mug. It’s ready in less than 5 minutes, for a nice warm meal. Speaking of cravings, I’m currently trying my best not to eat all the Halloween candy until after Halloween. I even made myself to wait until the last weekend before Halloween to purchase candy because in past years I would buy, eat it all, then have to buy more. Two days after my purchase and I couldn’t resist opening the bag of mixed chocolate candy bars. I hope I can show better discipline for the rest of the week. For another version, you can check out my traditional macaroni and cheese in a mug here. And if you love making things in a mug and microwave, check out my new cookbook 5-Minute Mug Cakes. 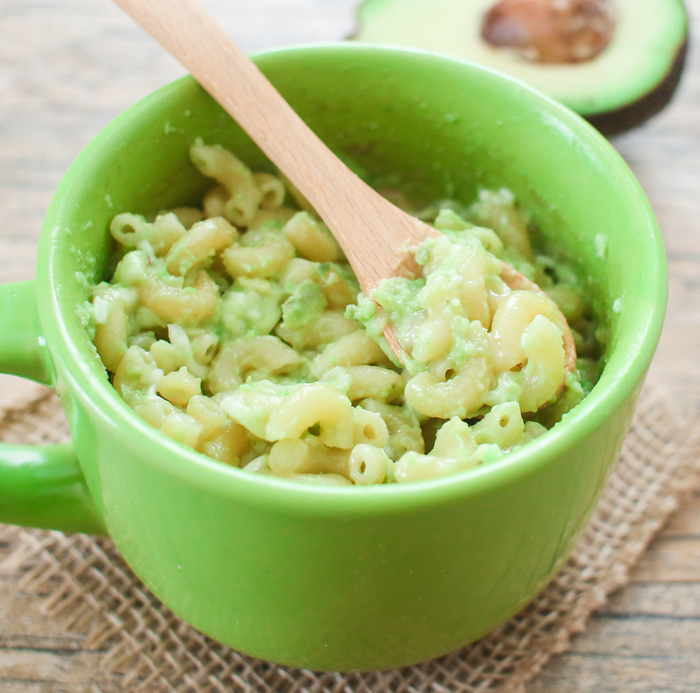 This creamy, single serving avocado macaroni and cheese is made with a microwave and in a mug. It's ready in less than 5 minutes, for a nice warm meal. 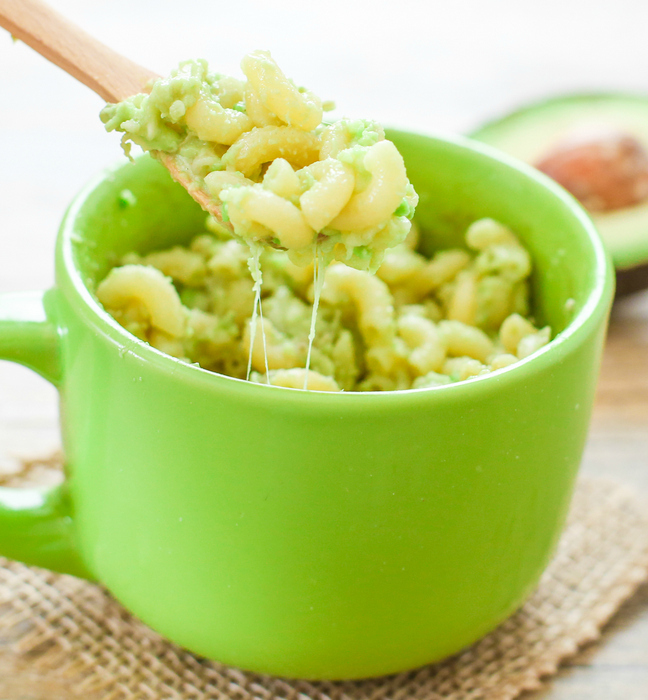 Add water and pasta into an oversized mug that can hold at least 20 ounces of liquid. 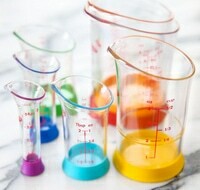 Place the mug on a large plate (this is to catch the overflow of water that occurs when cooking). Microwave for 1 minute, then stir, making sure noodles do not stick to each other or to the bottom. Microwave for an additional 1 minute and stir again. Microwave for an additional 1 minute (you should be on minute 3 now) and stir again. Noodles should be almost cooked at this point and most of the liquid should be gone. How much more you need to cook will depend on your microwave. I microwaved mine an additional 30 seconds. While macaroni is cooking, place avocado in a small bowl and mash with a large spoon until only very small chunks remain. If you have any remaining water in your mug, pour it out. Immediately add in cheese and stir until it completely coats the noodles. If you're using very finely shredded cheese, it should completely melt. If you are using thicker shredded cheese, you may need to microwave for an additional 20 seconds and stir again before it's uniform. 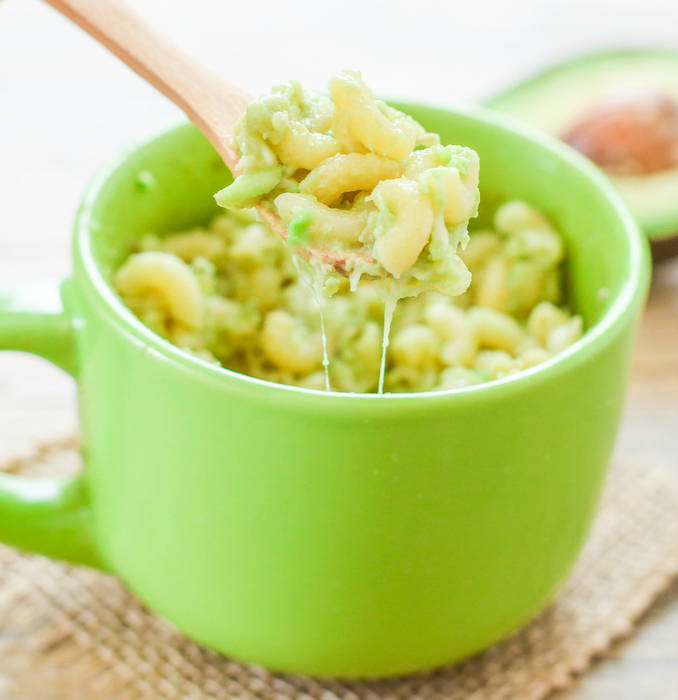 Add in mashed avocados and mix in with macaroni. Add salt and pepper as needed. 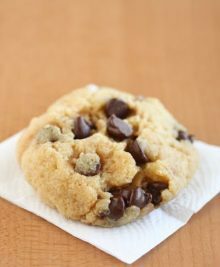 Eat immediately. I can’t wait to try this in my dorm room! It’s definitely great for dorm cooking. I wish I knew of it when I was living in the dorms! I used a 20 oz mug, so pretty big! I guess it also will vary a little depending on the pasta you use. The mini elbow macaroni take up less room compared to some other shapes of pasta, so all of mine fit in there. You are right about the serving. I did finish it all in one sitting, but it really should be a 2 serving dish.